This clean web design lets you get your business online in minutes. 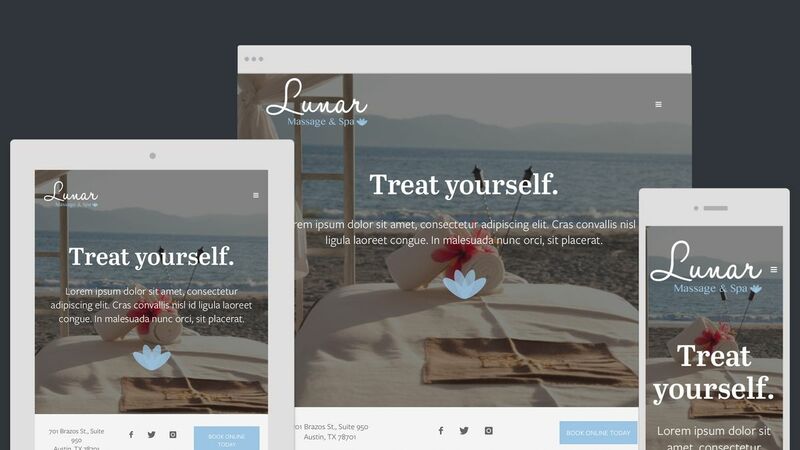 Designed for those looking to elevate their online awareness, Lunar draws in visitors with a full homepage image. Popular with spas, salons and service-based businesses looking to grow their customer base.